Introducing the brand new Good e-Reader App Store! You will need to uninstall the old version if you have it installed on your smartphone and tablet! 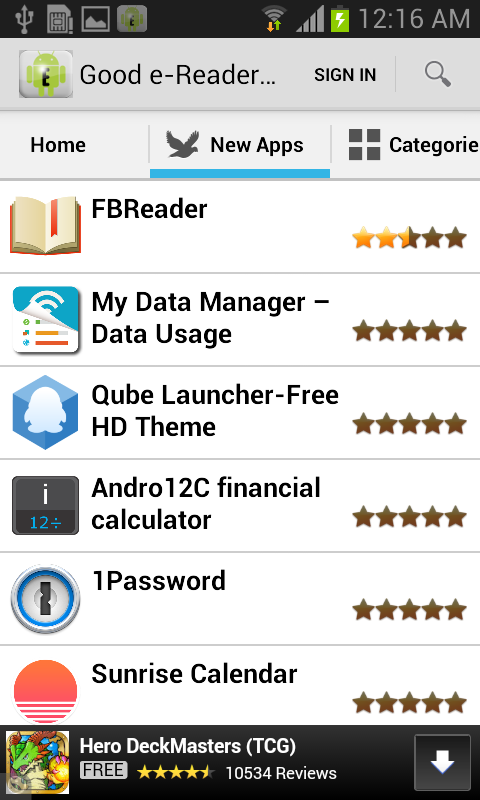 The Good e-Reader Android App is your personal gateway to over 55,000 of the best Android apps and games. It is optimized for both smartphones and tablets. 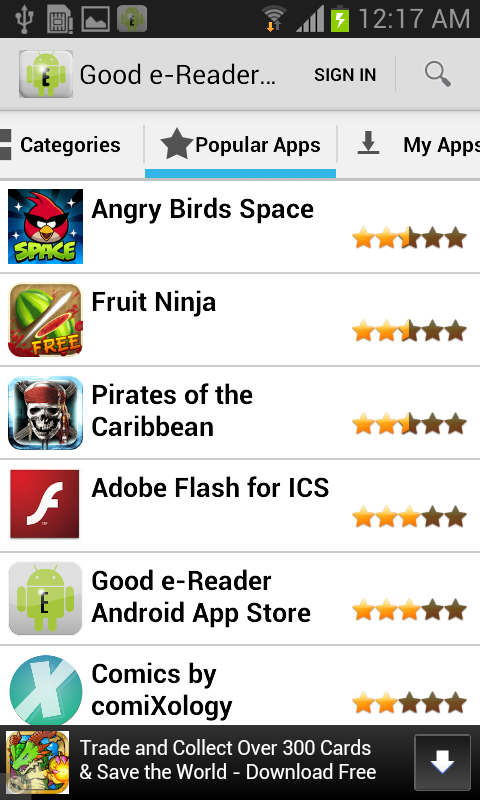 Instantly Download over 55,000 Android Apps and Games! Get Notified when an App has an upgrade! Cloud Storage keeps your apps if you upgrade to another smartphone or tablet! We have revised the app to version 1.0 and have cleaned up almost all of the legacy code. If you have the old version of the Good e-Reader App Store you will have to uninstall it and install this version. This version of the app store will be the only one we upgrade and support moving forward. Doesn't even start, "You are out of a wifi internet zone"
Hello! I can't download any app on my Blackberry PlayBook. please help me how I download clash of clans,Skype,whatsapp and your app store. It could be great, but I can't tell since APKs from this website won't install on my rooted NST. Great business idea, nowhere to download. Where the #%& do I download this? I can't update my clash of clans app. It is not listed on my apps on the this app store. That is why I can't update it. Pls help me update. Fantastic alternative to GooglePlay. Highly recommend this App Store. This is a fantastic app! 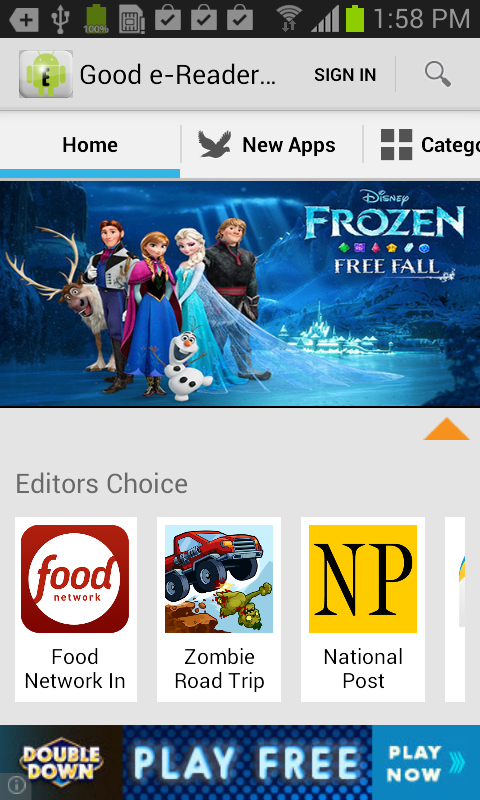 Its design makes it very easy to find the latest and greatest Android apps. The developers are super nice too. I downloaded and registered within the app, but the apps on my playbook aren't showing up in the My Apps section. Please help. Very good app store. I use it frequently. Good Going Guys !! love this app market. Very nice. The best for free apps and always growing.